thoughts, rants and art! : In the Top 5. 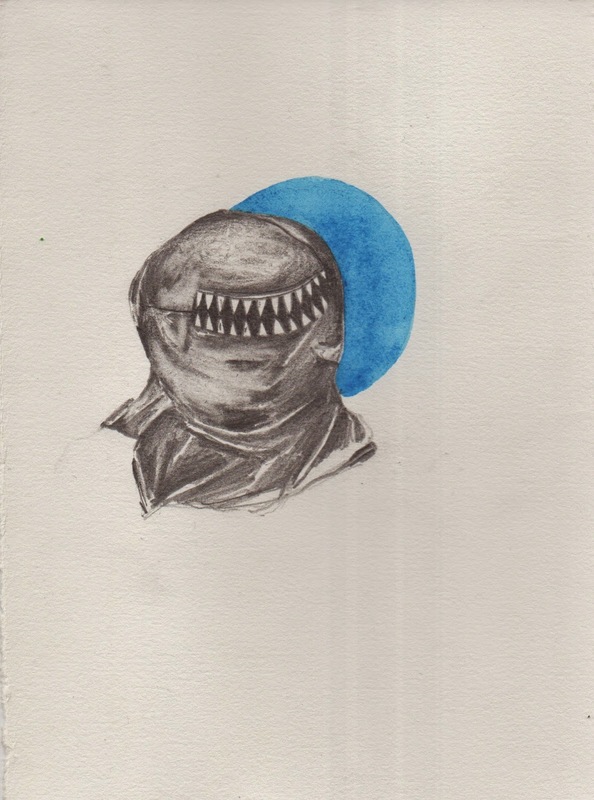 Worst Nightmare, Graphite and Watercolor, 2013. I have been really stressed about life lately. ...M is sleeping in his own room. School work. Job Stress. My days revolve around getting M ready for school, working, coming home, washing laundry and bottles, playing with M and bed. Somehow, I manage fitting in my school work and eating in between. It's rare that I feel like I'm getting enough time to spend on one task. On Wednesday, I finished one of my classes I needed for my Preschool Certifications. Jennifer, Well done! You have designed a developmentally appropriate unit theme for preschoolers with opportunities for learning in all domains, and for children to explore their interests. You should be able to put this to use in your work with preschoolers. I wish you continued success in your career! Congratulations, you are among the top 5 students in this class! Please keep in touch about how this unit works when you implement it. It feels like someone just gave me the perfect high five. My final project was 34 pages in length. There were eleven lesson plans based around the "Ocean." Technically, more but written less formally in extension activities. I was dedicated to getting a 100 on the final and I did. I scored a 99.6% in the class. I am grateful for the comment about being in the Top 5. My hard work did not go unnoticed when sometimes I feel like I am treading water trying to get all the things I need to get done every day. This was the pick me up that I needed.